Per their Facebook page. If this requires the removal of the ping pong tables I’ll be one sad dude, but this looks like a solid addition! I wonder what @CoastersRZ thinks of this attraction. It would be interesting to hear what he has to say. I seems like Sunlite pool used to have high-diving boards back when I was a kid. Am I dreaming that? I think this is a nice addition to Sunlite Water Adventure. I actually had known for a while that this was coming. Last year, they had the diving boards closed all year, due to state regulations, and there were many people sad that they were closed. At one point in time, I think that they did have high diving boards, but those have long since been gone. This will replace the Pipeline Plunge water slide, which has been problematic the last few years. 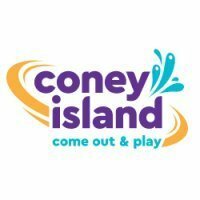 It was closed for several weeks last season. 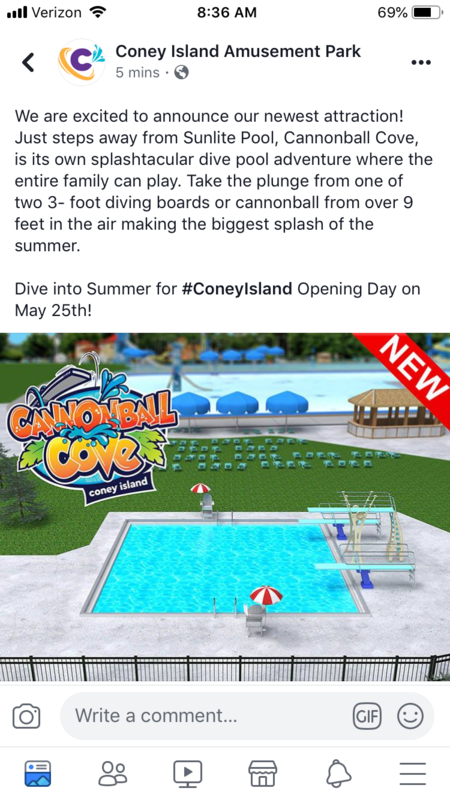 This new attraction will be popular across a wider demographic, and allows diving boards to return to Coney. Not many water parks at the major chains have diving boards, so it is definitely unique, and gives it more of a community swimming pool feel. It’s true. As I recall, Sunlight pool had three levels of diving boards. three foot, six foot and one ten foot diving board. All on the east end of the pool. The ten foot board had an extension that went even higher to a small platform that was waaay up there (I have no idea how much higher) ... lol. I don’t recall ever seeing anyone dive from that platform. I believe it was used for diving exhibitions. Man, Pipeline Plunge was my favorite there!